Nestled on the eastern side of Vienna, quite close to the airport, the Zentralfriedhof (cemetery) is enormous. 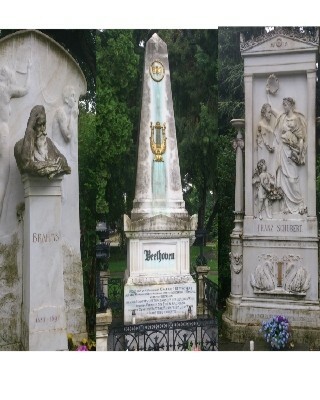 Visiting the graves of composers is perhaps a dark tourist desire, but it was a really moving experience. 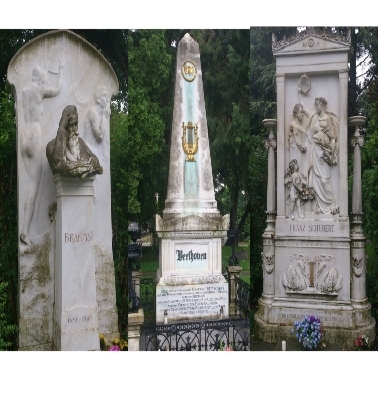 Brahms, Beethoven, Wolff, Schubert, and several Strausses are all buried within 20 metres of each other. The hundreds of years of history between their lives and ours seemed to melt as I stood next to the graves. The gravestones are all markedly different too – the style of carving strangely reflective of the composers’ differing musical styles.